You’ve had a long day at work and the children have had a long day at school. All you want is to jump into the pool but now you’re wondering why is the pool water cloudy? This is even more of an issue when you have planned a swimming pool party and the guests are arriving and you pull back the cover and notice cloudy water! The swimming pool service contractors from A Clear Choice Pool Care in Menifee, California understand how frustrating it is. When you’re ready to swim — whether you’re hosting a pool party or if you just want to kick back and relax with the family — you just want the pool to be ready and welcoming, right? 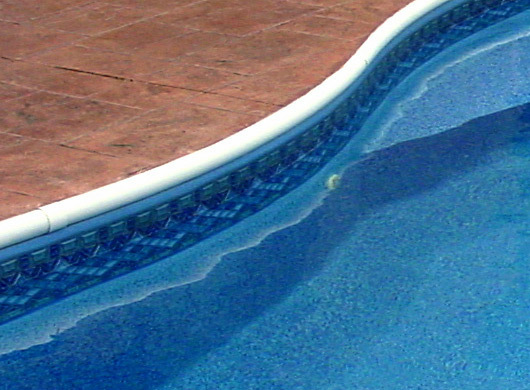 Many times when the pool water is cloudy it is the “fault” of poor circulation. In order to have clear, swimmable water your pool needs to have adequate circulation, adequate filtration and a clean filter and the chemicals need to be properly balanced. To keep the pool water from getting cloudy, your swimming pool service contractor will recommend that the pool pump is run at least twelve hours a day in the summer and from six ot eight hours in the winter (if it isn’t winterized). A pool pump is designed to run continually so don’t worry if it’s running twelve hours or more. Run the pump during the overnight hours and you may pay less in electricity costs because you’re running it in the off peak hours. The water needs to be tested regularly and you need to add pool chemicals to ensure the chemicals are in proper balance. If you work with a swimming pool service contractor he will do this on your behalf, but you may still want to check the water chemistry with a test kit you can buy from us, between service visits. If the pool water gets cloudy, it may require an additional visit by your pool contractor and he may recommend shocking or super chlorinating the water to clear up the cloudiness. If this happens, the filter and pump will need to be run for twenty four hours and you will be unable to use the pool during this time. Cloudy water may also require a clarifier be added to the water to help clear it up. It’s not the end of the world and is easier to clear up than algae, but it is still disappointing when you’re ready to swim and your pool isn’t ready for you to jump in!